In the UK and Ireland World Book Day is on Thursday 7 March 2019. This date came about after serious thought and lengthy discussion to ensure that we were making the best decision for all participants and our supporters. We take into consideration religious holidays, school terms and potential conflict with other charitable activities. Is World Book Day a government initiative? How can my school get material? Can we still get tokens even if we have missed the registration deadline? How can we get more tokens? How long is the Book Token’s redemption period? Where can I get ideas for activities and events for World Book Day in my school? My children are educated at home. Are they entitled to receive £1 WBD Book Tokens? Are pre-school children entitled to World Book Day Book Tokens? I work at a British School abroad; do we qualify to receive a copy of the Schools’ Pack free of charge? I work at an international school and would like a copy of the Schools’ Pack. Is the pack free of charge or is there a fee? Who is responsible for sending information to the Republic of Ireland? I am calling from a school and cannot get hold of certain £1 books. Can you help? Can you provide me with a list of participating bookshops in my area? I am a BFPO school, am I entitled to a pack free of charge? Which types of establishments may be sent materials? Which organisations are not entitled to Book Tokens? What is the charge for additional copies of the Schools’ pack? I’m a teacher—can I purchase the £1 books to give away to my pupils? I’m a Librarian, can I get a stock of the £1 books and accept the £1 book tokens? Can I get stock of the £1 books for display or loan? What impact does World Book Day have? How are the £1 books chosen? How is World Book Day funded? How much of World Book Day is about dressing up? Is World Book Day just one day a year or is there engagement all year round? Q1. What is World Book Day? World Book Day is the world’s biggest campaign to provide every child and young person in the country with a book of their own. A registered charity, World Book Day is generously supported by sponsor National Book Tokens and brings together the UK and Ireland’s bookselling and publishing industries in an extraordinary collaboration. World Book Day returns in 2019 after one of its biggest years to date with a range of new initiatives that will help to get even more books directly into the hands of children and young people, especially those who wouldn’t otherwise have access to them. Catering for all age groups, from toddler to teen, the expanded list of 13 new £1 titles for World Book Day 2019 has been created to appeal to the widest possible range of children and young people, tastes and abilities. Q2. When is World Book Day 2019? A. World Book Day was designated by UNESCO as a worldwide celebration of books and reading, and is marked in over 100 countries around the globe. Q3. Is World Book Day a government initiative? A. No – World Book Day Ltd is a small, registered charity. The financing of World Book Day comes mainly from contributing publishers, the generous sponsorship of National Book Tokens Ltd, some literacy partnerships and other supporters, as well as the participating booksellers who fund the entire cost of the Book Token redemption. The collective decision-making process around the annual campaign, strategy and governance is done via an Executive Committee and a Board of Trustees, both of which are composed of senior representatives from bookselling, publishing, the Booksellers and Publishers Associations, The Reading Agency and an acclaimed author. Q4. How can my school get material? Primary Schools – All primary schools will be automatically mailed as in previous years; there is no need to register. However, if you have previously requested to not receive any mailings from The Education Company, WBD’s mailing house, you will not receive any WBD material. To rectify this situation, please contact the Helpline. Secondary Schools – Since World Book Day 2004, secondary schools in the UK have been required to register to participate. For 2018, secondary schools should re-register and re-confirm their requirements. Schools who are not yet registered are also welcome to do so. Please see the secondary school registration section on this site for all details and to check your registration status. There is a £30 administration fee payable. Pre-Schools – In 2004 we extended the reach of the World Book Day initiative into the preschool sector. For further information on this activity please visit the registration section of this site where establishments can register their details. If your nursery or pre school cannot be found please email with full establishment details, Contact number, Head of establishment and pupils on roll so we can add your establishment to our system. Individuals and childminders are ineligible for this service, due to the potential cost. Q.5. Can we still get tokens even if we have missed the registration deadline? Yes, email wbd@education.co.uk with your school name, postcode and number of tokens required and our team will do our best to get your school registered. Successful late registration does incur a fee of £30, however. Please note, we only have a limited number of spare tokens. Q.6. How can we get more tokens? Email wbd@education.co.uk with your school name, postcode and number of additional tokens required and our team will do our best to obtain more tokens for you. It we are able to do this, there is a small fee of £15. Please be aware we only print a limited number of spare tokens. Q7. How long is the Book Token redemption period? A. The Book Token redemption period is: Thursday 28 February – Sunday 31 March 2019 (inclusive). Q8. Where can I get ideas for activities and events for World Book Day in my school? A. The Resource Pack, mailed to schools with the £1 Book Tokens from early January 2019 contains lots of ideas for events and activities you can organise in your school or library, even if you are making arrangements at the last-minute. You can also find an online version of the packs on the WBD website which you are free to download. The events listing on this site will tell you what other schools, bookshops and libraries in the UK and Ireland are planning and you may get ideas from this list that you can apply in your school. The main objective for World Book Day is to have fun and enjoy reading and sharing books together, so please feel free to use these ideas as a starting point and add other ideas you have yourself. Q9. My children are educated at home. Are they entitled to receive £1 WBD Book Tokens? Please write the number of tokens you require in the top right-hand corner of your return envelope. If you do not enter a value we will only send you 1 token. You must fix the correct value, 1st or 2nd class stamp to both the outer and your return envelope. Envelopes which do not have the correct payment on the outer envelope will not be delivered to us by Royal Mail. If there is no stamp on your return envelope, unfortunately we cannot process your request. Postage on your return envelope must be enough to cover the weight of the number of tokens sent, otherwise you may incur a surcharge from Royal Mail. Each token weighs 2 grams. Any request received up to the 31st January will be stored and despatched after that date. For requests received after the 31st January, please allow up to 14 days for this process. Q10. Are pre-school children entitled to World Book Day Book Tokens? A. In 2004 we extended the reach of the World Book Day initiative into the pre-school sector. For further information on this activity please visit the registration section of this site where establishments can register their details. Individuals and childminders are ineligible for this service, due to the potential cost. Q11. I work at a British School abroad; do we qualify to receive a copy of the Resource Pack free of charge? A. Unless a school book club used by your school has made prior arrangements there is a charge for a copy of the Resource Pack, and Book Tokens will not be sent overseas. You can download the resource pack for free on our website or to order a Resource Pack, please contact the World Book Day Helpline (details given above). Charges start from £15 for packs sent overseas and increases depending on the number of tokens and destination. Q12. I work at an international school and would like a copy of the Resource Pack. Is the pack free of charge or is there a fee? A. Please contact the World Book Day Helpline (details given above) to find out if your school is on the existing mailing list. Otherwise there will be a charge for the Schools’ Pack. The charge is £6 plus carriage for packs sent overseas. NB. Book Tokens will not be sent overseas. International schools may register to access the World Book Day Portal for information and resources. Q13. Who is responsible for sending information to the Republic of Ireland? A. Material, including Euro Book Tokens, is sent in bulk to Ireland and is despatched to schools by the Irish Department of Education. We would like schools in Ireland to help ensure that the list used for dispatch is completely up to date. Please visit the site registration section or contact the main Helpline at wbd@education.co.uk. Q14. I am calling from a school and cannot get hold of certain £1 books. Can you help? A. Bookshops will have limited quantities of the £1 books exchangeable for the WBD £1 Book Tokens, and are neither obliged nor able to supply large quantities of £1 books in exchange for bulk quantities of Book Tokens. You are urged to bear this in mind when making arrangements for your pupils to celebrate World Book Day, as any misunderstanding can lead to disappointment. Early contact with your local bookseller is recommended to find out what their plans are for £1 Book stock. If your school is in an isolated position, you may wish to consider contacting your nearest bookshop to find out if they might be able to help you. You may also wish to organise a book club or fair; please note that Book Clubs and Fairs do not stock the £1 Books. Q15. Can you provide me with a list of participating bookshops in my area? A. Please visit www.booksellers.org.uk/bookshopsearch. Details are given so that you can check before travelling to make your purchase. All major supermarkets – Asda, Tesco, Morrisons, Sainsbury’s, Marks & Spencer and most large bookshop chains – WH Smith, Waterstones, Eason etc and hundreds of independent booksellers are participating, as are a number of school book clubs – Scholastic and Usborne Books At Home. Please check before making a journey that your local store is participating. Q16. I am a BFPO school, am I entitled to a Resource Pack free of charge? Sunday Schools, after-school clubs, school reading clubs, Brownies, Cubs, Scouts, Guides etc. Q19. What is the charge for additional copies of the Resource Pack? A. You can download the resource pack for free. If you do require an additional schools’ pack it will cost £15. Cheques should be made payable to “The Education Company” and sent to: Dept .WBD, The Education Company, Riverside House Sir Thomas Longley Road, Rochester, ME2 4FN. Q20. I’m a teacher—can I purchase the £1 Books to give away to my pupils? A. No, you need to purchase them through a bookseller who is a member of the Booksellers Association – but this is a brilliant way to make contact with your local bookseller. Find your local bookshops here. Q21. I’m a librarian—can I get stock of the £1 Books and accept the £1 book tokens? Q22. Can I get stock of the £1 Books for display or loan? A. 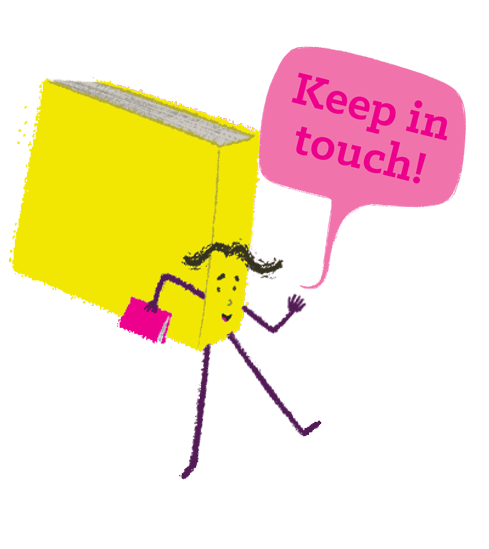 If you contact your local bookshop or library supplier, they may be able to help you. Books are supplied to bookshops at a cost of £5 per 50-copy pack, so you would need to buy the books from the bookseller at cost price, if they can supply them. If you intend to source the books for loan you would need to service them yourself. Q23. What impact does World Book Day have? Q24. How are the £1 books chosen? A. Each year, World Book Day hold a selection meeting, where publishers put forward a number of titles to the World Book Day team and a selection panel consisting of independent booksellers, Waterstones, WHSmith, supermarkets and a libraries representative. The aim is to create a list of books that will appeal to the widest number of children and young people possible, ensuring there is a representative list with something to appeal to all ages and stages. Publisher representation also has to be balanced. Getting the right mix of the £1 books (€1.50 in Ireland) is key, as they drive children and parents into bookshops to redeem their book tokens and pick up their free book – or many choose to use theirs to get £1 off a full-price book instead. Q25. How is World Book Day funded? A. The charity is funded by a wide selection of publishers, as well as a sponsor, National Book Tokens and booksellers nationwide, who fully fund the cost of the book token redemptions. It is run by a very small team and supported by volunteers, all of whom are dedicated to getting books into children’s hands. Q.26. Why Share A Story? Reading for pleasure is the single biggest indicator for success in life, more than family circumstances, educational background, or income. But it’s in decline. Our Share a Story campaign aims to turn the tide. Sharing stories together – anywhere, anytime – for just ten minutes a day has long-lasting effects on a child’s future and being read to is critical in igniting enthusiasm for reading, and creating lifelong readers. For this year’s World Book Day, some of the most influential people in the country – high-profile ambassadors, diverse authors, politicians, and prominent champions – are coming together to ask the nation to ‘Share a Story’ and help change our children’s future. Q27. How much of World Book Day is about dressing up? A. World Book Day want to create a ‘Christmas morning’ feeling around books and reading, encouraging children to use their imaginations and engage with the world of books in as creative a way as possible, and by dressing up and bringing their favourite book characters to life, they are doing just that. Children and young people are welcome to dress up and take their favourite books to school to celebrate the books and characters they love and the fun of reading. They can do this in any way they like, and World Book Day encourages them to get creative, by making their own inexpensive props or costumes at home or at school and, if possible, to make a £1 contribution to Book Aid International, too, to enable them to send books to children in other countries. World Book Day is principally about encouraging children and young people to read and love books and the book tokens allow us to spread that joy. Last year over 1.2 million £1 book tokens were redeemed, enabling 1 in 4 KS2 children (1 in 3 for those receiving free school meals) to ‘purchase’ their first ever book. Research by the National Literacy Trust* has indicated that 89.5% of children aged 8-11 are aware of World Book Day and that, in 2016, 60% of children were inspired to read more by the celebration. Alongside activity on World Book Day itself, the organisation create and run many activities which promote the fun and joy in reading for pleasure and bring books to life for children of all ages, like our national tour of author/illustrator events, The Biggest Book Show on Earth and the incredibly successful World Book Day Award (WoBoD). Q28. Is World Book Day just one day a year or is there engagement all year round? A. Alongside activity on World Book Day itself, the charity will be running both a national tour of author/illustrator events around the country in ‘The Biggest Book Show on Earth’, throughout the week of World Book Day, and bringing back the incredibly successful World Book Day Award (WoBoD) in January, in partnership with Piccadilly Press, Sir Chris Hoy, Joanna Nadin and Claire Elsom’s Flying Fergus series in 2018. In 2017, the Award involved over 76,000 children, their families and communities, created ‘mass hysteria’ around reading for pleasure. This year £20,000 worth of books are up for grabs, a life-changing library for any school. The line-up for the tour and more details about this year’s Award can be found on our website here. We also have our exciting new movement, Reading is Power, aimed at young people. Working with booksellers, publishers, authors and influencers, we’ll be targeting teenagers in their own spaces, online as well as making sure we can give them real offers, ideas and choices in bookshops and at home and school too. In addition, the World Book Day website www.worldbookday.com is constantly updated with reading recommendations, ideas, resources, activities and competitions for children of all ages all year round. Q29. Why are supermarkets involved? A. We have a wide number of retailers on board as partners now, to help us to extend the reach of our campaign, and give children and young people the opportunity to redeem their token if they don’t have a local bookshop or they are not regular visitors to their local bookshop. The tokens can be redeemed in Asda, Tesco, Morrisons, Waterstones, WHSmith and Marks & Spencer, as well as hundreds of independent bookshops nationwide.